It is Maundy Thursday (also known as Holy Thursday). Christians around the globe will be gathering today for services. Because both the Western and Eastern calendars coincide this year, Christians in both East and West, will share in the blessedness that is Holy Week. It is also Passover Week, which means our Jewish cousins are also celebrating a feast of redemption and liberation this week. Tomorrow will be Good Friday. 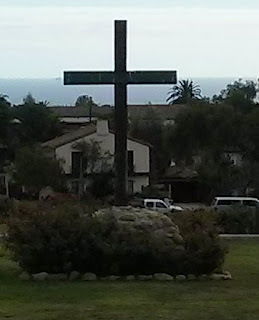 Christians East and West will remember Christ’s death on a cross. We will attend to the stories of the trial, the torture, and the death of our Savior, Christ the Lord. But for a moment we who are Christians, will gather for a meal, in remembrance of him. The Gospel of John doesn’t have an institution narrative. In fact, in John’s Gospel the meal occurs the night before Passover, not on Passover. So, this is just a meal, but it is a meal with meaning. After supper, Jesus does something unexpected, at least on the part of a teacher. 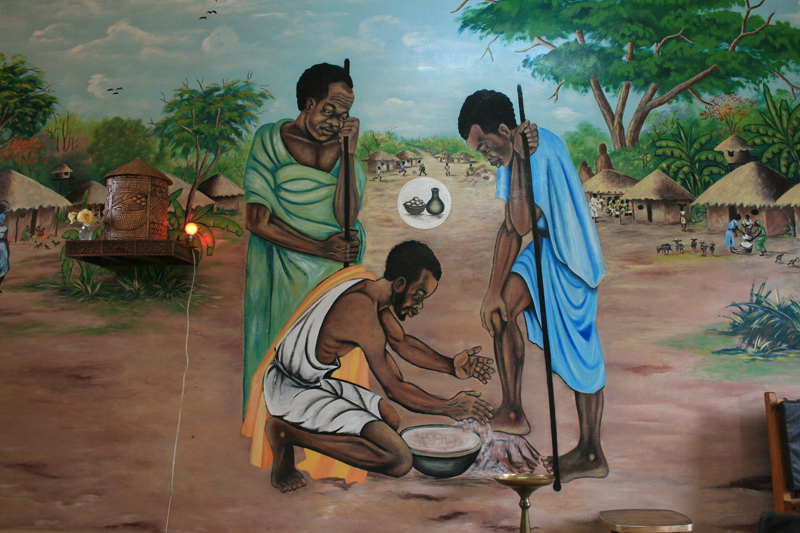 He got a bowl of water and a towel and began to wash the feet of his disciples. This is something servants do, not masters. But Jesus washed their feet. I’ve been impressed by Pope Francis’ foot washings. In the past, the Popes have washed feet on Maundy Thursday, but they’ve washed the feet of priests. Not so with Francis. He washes the feet of prisoners, women, Muslims. Peter didn’t want Jesus to wash his feet. He didn’t think it was becoming of Jesus, but Jesus insisted, and Peter gave in. As we contemplate Jesus’ act of service, it might be worthwhile to remember that just a chapter before this, Mary washes his feet with her tears and her hair. Jesus had gone to the home of Mary, her sister Martha, and her brother Lazarus (whom Jesus had raised from the dead – Jn. 11). While Martha made dinner, Mary took a jar of costly ointment, and anointed his feet and wiped them with her hair and her tears. Judas was offended by this, suggesting that it could have been better spent on the poor (or on him). But Jesus said, leave her be because she was preparing him for his burial, an idea that still hadn’t sunk in (Jn.12:1-8). So, Jesus was following Mary’s example of service and love. Regarding the role of love, we call this evening Maundy Thursday, because of the mandate about love that Jesus gave to the disciples in verses 34-35. The word Maundy is said to be derived from the Latin word mandatum, from which we get the word mandate. Whatever the etymology of the name, the point is that as Jesus is teaching the disciples, he gives them a new mandate or commandment— “Love each other, as I have loved you.” If you do this, then the world will know you are my disciples. Yes, when we love each other within the body of Christ, the world outside will know to whom we belong. This is a difficult word to hear, because I’m not sure we’ve fully achieved this vision of Jesus. But our inability to reach the heights of true love, doesn’t mean we don’t try! For if the world sees us love one another, then maybe they will believe and they will find their way to Jesus’ eternity. Let us keep the Feast of Love! Picture attribution: Jesus washes his disciples feet, from Art in the Christian Tradition, a project of the Vanderbilt Divinity Library, Nashville, TN. http://diglib.library.vanderbilt.edu/act-imagelink.pl?RC=54965 [retrieved April 12, 2017]. Original source: http://www.flickr.com/photos/toddhiestand/2628057856/.